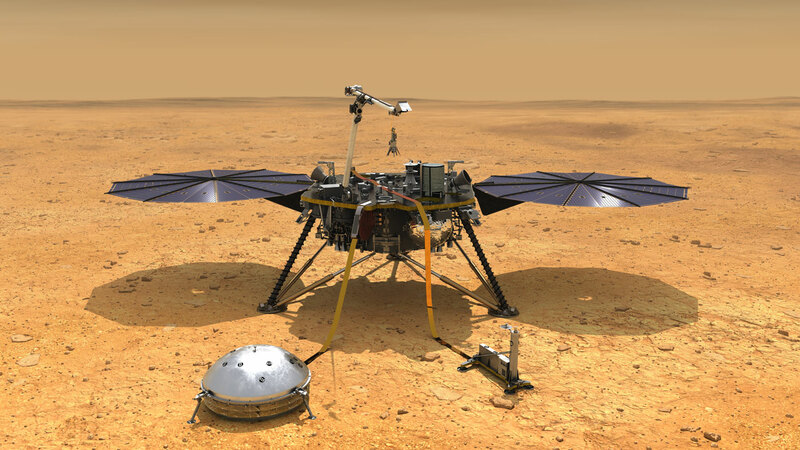 Are you ready to watch NASA's InSight Lander Decending to Mars? It’s not surprising to see how the world has changed since we started doing outreach! We started our outreach efforts in Nepal while Nepal has dominance of dial-up internet service! And most importantly, it was not accessible as it is now and cheap! We have heard of the arrangement for the public to view moon landing during Apolo 11 mission in Kathmandu in the 1960s! Now its time to witness mars landing right from your own space tonight! Isn’t it exciting? InSight, short for Interior Exploration using Seismic Investigations, Geodesy and Heat Transport, is a Mars lander designed to give the Red Planet its first thorough checkup since it formed 4.5 billion years ago. It is the first outer space robotic explorer to study in-depth the “inner space” of Mars: its crust, mantle, and core. Studying Mars’ interior structure answers key questions about the early formation of rocky planets in our inner solar system – Mercury, Venus, Earth, and Mars – more than 4 billion years ago, as well as rocky exoplanets. InSight also measures tectonic activity and meteorite impacts on Mars today. The lander uses cutting-edge instruments, to delve deep beneath the surface and seek the fingerprints of the processes that formed the terrestrial planets. It does so by measuring the planet’s “vital signs”: its “pulse” (seismology), “temperature” (heat flow), and “reflexes” (precision tracking). This mission is a part of NASA’s Discovery Program for highly focused science missions that ask critical questions in solar system science. 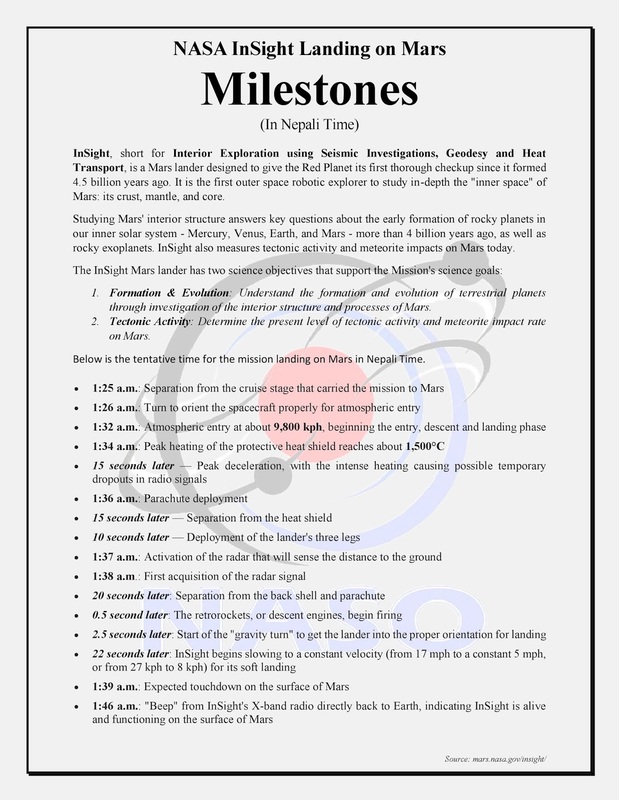 Formation & Evolution: Understand the formation and evolution of terrestrial planets through investigation of the interior structure and processes of Mars. 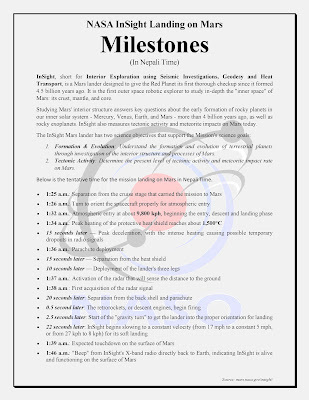 Tectonic Activity: Determine the present level of tectonic activity and meteorite impact rate on Mars. Interested to learn more about the mission and latest updates? Click here to visit the official site of the mission. Happy watching! Let’s make history to share with our generations to come!